Raleigh Homes for Sale | UPDATED every 15 minutes! Smart people call Raleigh home. An international center of medical care and research, Raleigh is home to one of the best public school systems in the country as well as several top-notch universities. With mild weather, plentiful economic opportunities, great golf courses and hundreds of restaurants downtown, Raleigh regularly appears on lists of America’s 10 best cities to live, work and play. When it comes to homes for sale in Raleigh, they offer some of the best value in the country! On this website you will be able to view all Raleigh Real Estate Listings from any city. 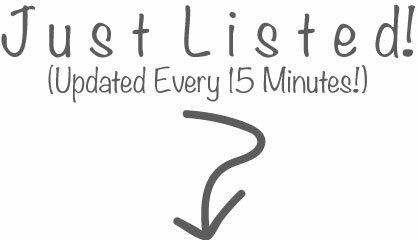 Below, you will find all the available Raleigh homes for sale with new data updated every 15 minutes! Raleigh isn’t just one of the best cities to live, work and play. It’s also one of the best places to own a home. Raleigh’s Real Estate market doesn’t experience the volatility that most markets do, and industry experts are projecting almost a 25% appreciation in home values between 2015 and 2020. The secret is out, Raleigh is one of the best cities to live in the United States. If there was a recipe for an excellent city to grow up, live and retire in Raleigh has all the ingredients. With some of the best elementary, middle and high schools in the country, to the nationally recognized universities like Duke, University of North Carolina, and N.C. State University. Upon graduating you're already living in the #1 city for jobs, and the growth is not slowing down. It's no wonder Forbes ranks Raleigh as the fastest growing city - In the year 2000 Raleigh was home to approximately 276,000 residents and by 2013 it had grown 43% to 432,000. The greater Raleigh area is home to over 1.2 million people. The growth really began to take off in 1959 when the Research Triangle Park was formed. Raleigh is the cornerstone of the 'Triangle' North Carolina area which also includes the cities of Durham and Chapel Hill. In 1959 Research Triangle Park was formed and today the Triangle area is home to over 2,000,000 residents. Today, Raleigh is the second largest city in North Carolina. What makes Raleigh so special is the people that live here. The city of Raleigh is large enough to be considered a city, and small enough to keep that small town charm. After a few months of living here, you will instantly start to recognize people and run into them in North Hills, Downtown or in one of the suburbs. A short drive to the beach or any lake, Raleigh offers numerous escapes for those who enjoy the water. If you've already selected what school district you want to live in, you'll want to search Wake County homes for sale by school. On this page, you will be able to view all of the schools in Wake County and you will be able to choose a school and search what homes are for sale in that district. You can search by elementary schools, middle schools, and high schools here in Raleigh. It's an incredible search feature that took us a long time to create for our web visitors. We hope you'll find it helpful when buying a home near a particular wake county school. A lot of our clients like to find a school before they go searching for homes because good schools are their top priority. If this sounds like you, we encourage you to reach out to us to discuss great schools here in Raleigh and how we can help you find the perfect home in that district. Among the best resources for searching homes for sale by school district is the address lookup feature on the wcpss.net website. Know what neighborhood you want to buy a home in? Here is an article we wrote for people moving to the area who want a better understanding of great neighborhoods in Raleigh. With so many great communities in the area feel free to give us a call to figure out what ones will work best for you. Finding the perfect Raleigh area neighborhood can be tough if you're relocating to the area. A lot of people will ask about renting for a year before buying a home. This can be a good idea for some. Spending $2,000/month over the course of a year is $24,000 of equity you could be building in your home. If you're hesitating about buying because you're unfamiliar with the neighborhoods you need to call us. Our Realtors® are experts in Relocation and we ask you set aside at least 5 minutes for a phone conversation. Once our Agents learn about you, your family, we will know what neighborhoods in Raleigh are best for you! If you're looking at luxury homes for sale in Raleigh, NC you'll want to start by visiting our luxury page here. This is a great resource for the affluent who are seeking a resource to assist them in buying a house in a higher price range. When purchasing a home that is more expensive there is less room to make a mistake, because a few small percentage points, or buying the wrong luxury home could cost you tens of thousands of dollars. Luxury properties are also harder to sell because there is a smaller pool of buyers for those homes. At a growth rate of 62 people per day, Wake County is one of the fastest growing cities in the United States. For this reason, builders are focused on developing homes and communities in the Raleigh area. This gives anyone who is relocating or looking to buy new construction real estate in Raleigh a great selection to choose from. To assist our clients and people who are looking to buy new homes we wrote an article on tips for buying a new construction house. The article is a great resource for anyone who is looking at new homes for sale in the Raleigh area because it comes with high-quality information, that can be applied to your buying process. The article also features an easy to read infographic that touches on the 11 major steps when buying a brand new property. A lot of the new construction developers are building townhomes and condos in the Raleigh area. There is a variety of Raleigh townhomes and condos to choose from. Whether you're looking to buy a brand new home or an existing one, Raleigh has a lot of condominiums and attached housing options for you to search. Some things to be wary of would be HOA fees and neighborhood association policies when buying an attached unit. The reason for this is if you want to live a certain lifestyle it may not be possible with strict rules HOA's sometimes have. It is in your best interest to work with a top Raleigh Real Estate Agent who will help you find the perfect home to buy. If buying a house in a certain zip code is important to you, you should check out our Raleigh zip code page. This page gives you the ability to search real estate in Raleigh by zip code, matching your search to a specific zip code and displaying only properties for sale in that area. An example of this would be if you're looking at real estate in southwest Raleigh and wanted to search homes for sale in the 27606 zip code or maybe you're looking in the North Raleigh area, 27609. You'll see in the example links that you have the ability to search Raleigh homes for sale by zip codes, making it super easy! Find a Home for Sale! If you're considering a move to Raleigh NC you've picked a great place to relocate :). We love it here in Raleigh, and it appears the secret is out! There is an expected growth of 70+% population growth between 2015 and 2030. One of the best things about Raleigh is the people. The Homes for Sale in Raleigh NC are also a huge plus, especially with the number of new communities being built in the area. If you want to learn more about the Raleigh Real Estate market visit our blog! There are a number of helpful articles that will teach you all about buying and selling real estate. It's our pleasure to provide highly valuable content to our consumers in hopes we will win their business!